If you're looking for a good night in the company of your brothers in Christ, look no further! 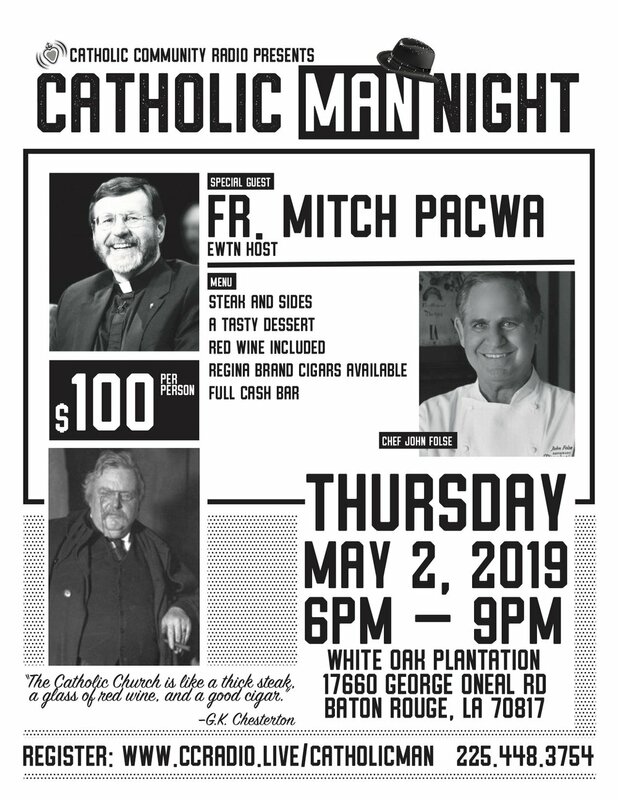 Chef John Folse has graciously invited you and Catholic Community Radio to "come on over, y'all!" at White Oak Plantation. Now, we're passing the invitation along to you! Your Registration also Includes a Regina Cigar. If you'd like to invite a priest to come, consider sponsoring him by purchasing a ticket in his honor!